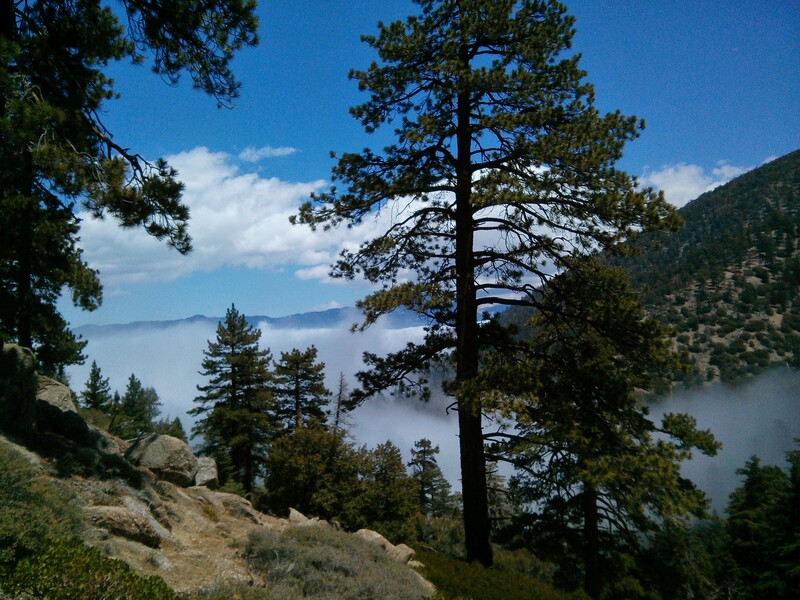 With a long weekend ahead of us, Louis and I decided to explore a part of the San Gorgonio National Forest we have not hiked before. 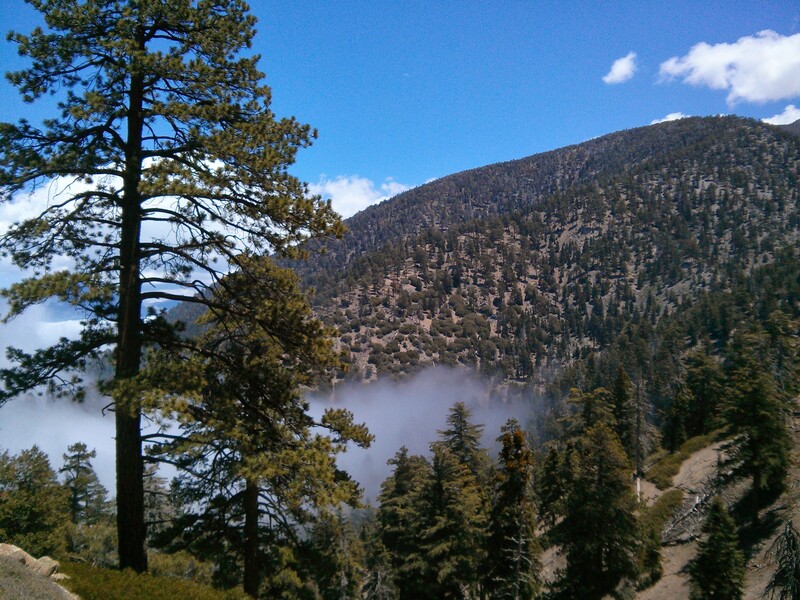 Located on the west side of San Gorgonio National Forest, Foresee Creek Trailhead heads west towards John’s Meadows and continues to the main San Bernardino peak trail junction. The trail is not as popular as the more direct peak trails such as San Bernardino peak and Fish Creek trail, therefore we saw a lot less foot traffic throughout the day. At about a mile up the trail there is a turnoff point. Take a left to Jackstraw Creek and right to John’s Meadows. John’s Meadow is about 3.9 miles from the trailhead. The terrain is relatively flat making this a very pleasant hike. 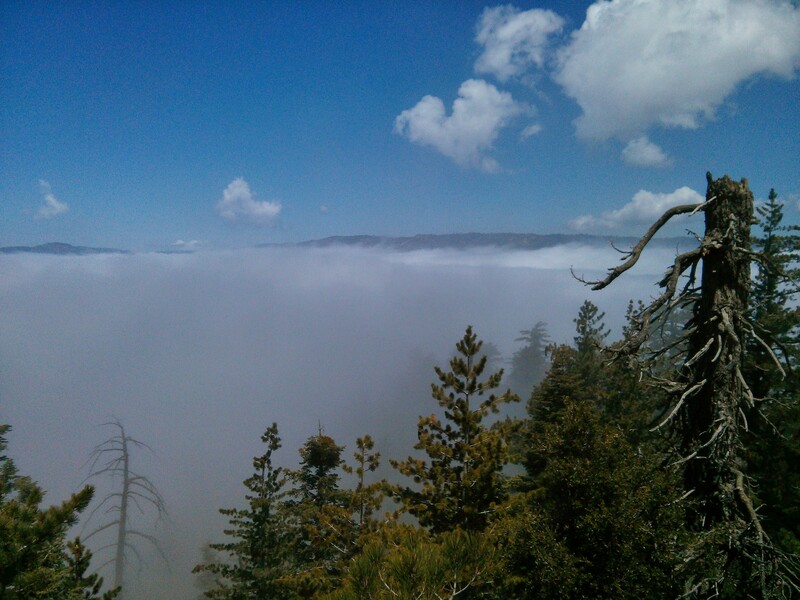 We were excited to be above the fog as we started on our hike. But pretty soon we were swallowed up by the fog. The cooler weather actually made this a very pleasant hike for our dog Dakota. Right before John’s Meadow, the cloud cleared up again. We reached John’s Meadow a little over an hour into our hike. There is no camping allowed at this site because of all the downed trees in this former camp site area. 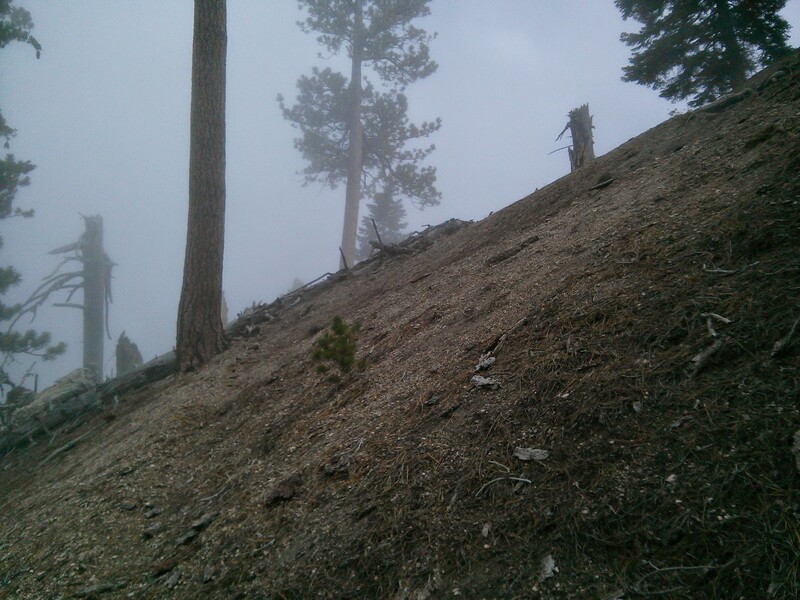 The elevation at John’s Meadow is approximately 7,200 ft above seal level. 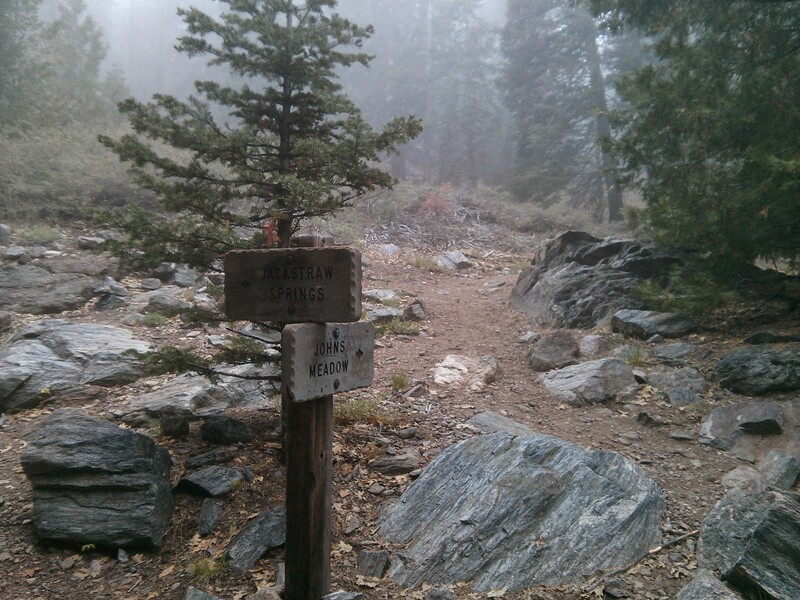 The last 2.7 miles of the hike to the San Bernardino main trail divide is an unmaintained trail. The trail loses itself for a bit after passing John’s Meadow but overall it was not too difficult to navigate. Water is abundant on this trail. We heard water flowing in Foresee Creek in multiple spots. 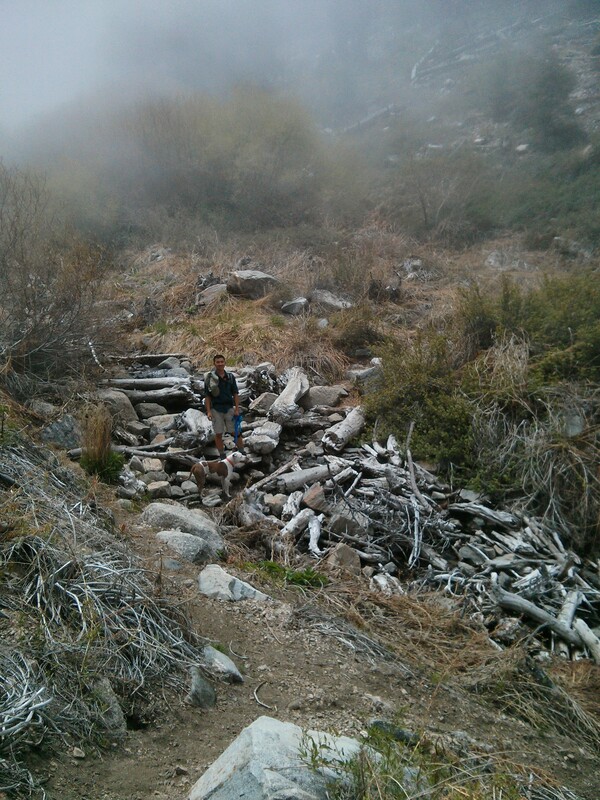 These creek crossings are usually great places to resupply for water is you are running low. 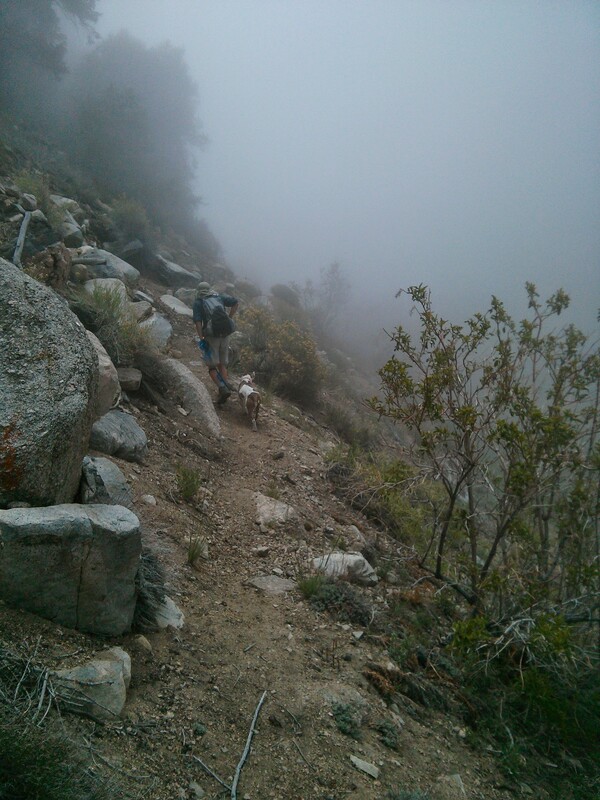 We reached the main trail divide around 1:30 and took a 30 minute break to have lunch and chat with other backpackers going on the San Bernardino peak. On our way back, the fog rolled back in and visibility decreased. Considering the multi-year draught we are currently in, it was a very refreshing to hike in such wet conditions in Southern California. Here’s to hoping the rain continues this year. 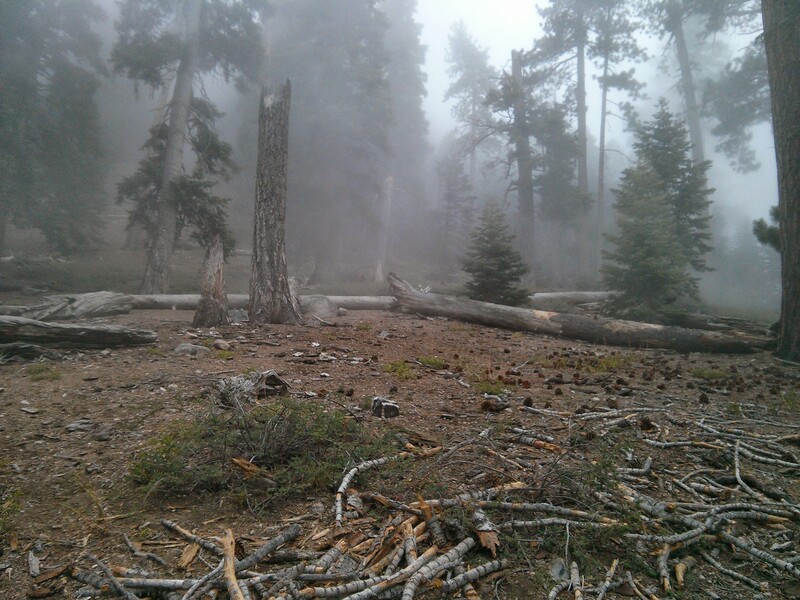 This entry was posted in Trail Reports and tagged adventure, dogs, Hiking, national forest, outdoors, pitbull, trips, weekend by hikenoworklater. Bookmark the permalink.